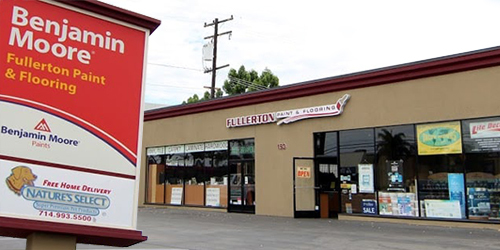 Fullerton Paint & Flooring is your one-stop shop for quality wood finishes in Orange County. We proudly carry stains, glazes, varnishes, primers, basecoats, sealers, solvents, thinners, top coats, lacquers, and other finishing products from General Finishes and Valspar Lacquers, two long-standing brands that are known for manufacturing high-quality wood coatings. Additionally, we carry Milk Paint wood finishing products for do-it-yourselfers. At Fullerton Paint & Flooring in Anaheim, you'll find the best wood finish for your project, whether you are looking for a durable lacquer to quickly add new appeal to existing cabinetry or want an easy-to-clean top coat for your wood furniture. We have one of the largest inventories of General Finishes and Valspar Lacquer products in Orange County, and we have a highly knowledgeable and experienced staff that is able to answer all your wood finishing questions. In addition, we keep a variety of strippers/cleaners, paint accessories, and other wood refinishing tools in stock to help you get the job done.